These earrings from Roberto Coin's Classica Parisienne collection have a timeless style. 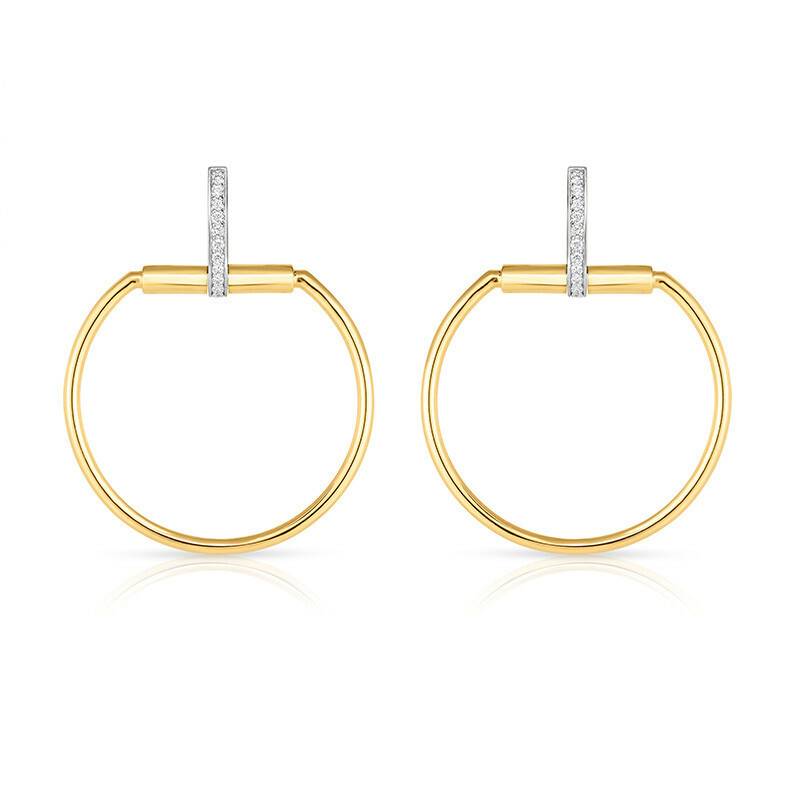 Crafted in 18K yellow gold, they have a flat-top rounded silhouette, with the distinctive drop descending from the earlobe on a luxe line of diamond-accented 18K white gold. These Roberto Coin drop earrings have an everyday elegance and effortless ease.